Looking south over Hazelhurst Field towards Stewart Avenue in Garden City. Identify the four historic sites/buildings in the Mystery Foto. -The barracks of Hazelhurst Field, a military airfield built for World War I. 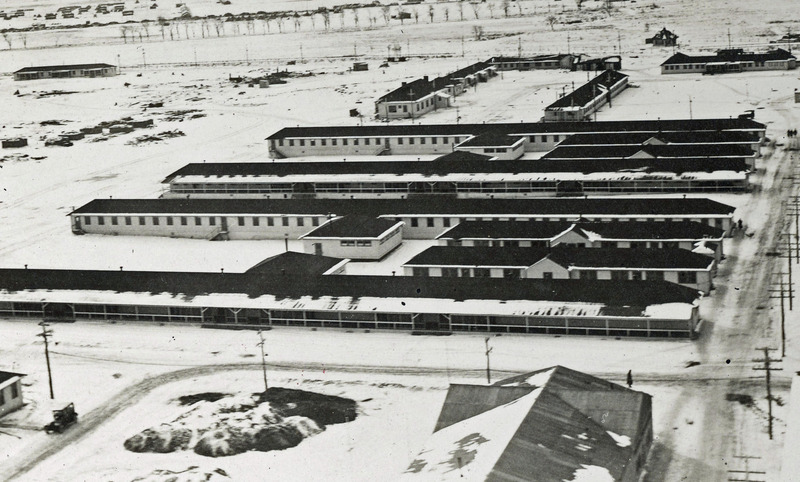 The barracks were built in 1917 and taken down for a golf course in the late 1920s. Which buildings still exist today? -The Garden City Lodge moved to Seventh Street in Garden City. Which Motor Parkway structure(s) are in the photo? 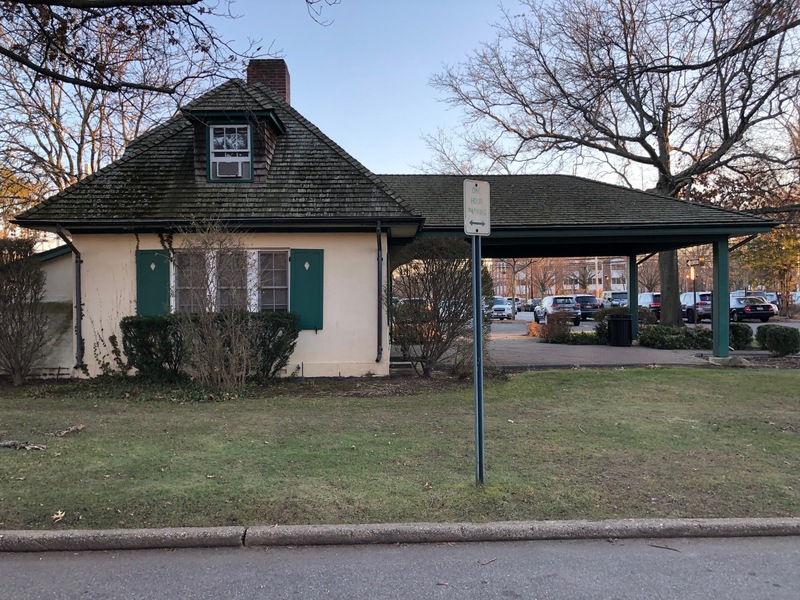 The Garden City Lodge, the embankment to the Clinton Avenue Motor Parkway Bridge and the General Manager's first office. .Identify the road surrounded by the array of trees seen across the top of the photo? What month and year was this photo taken? Provide a rationale. Kudos question: How was the photographer able to take this photo? The photographer was standing atop a water tower in Hazelhurst Field. Congrats to Art Kleiner, Lee Chambers, Andy, George Philippides, Greg O., Steve Lucas, Tim Ivers, Joe Oesterle, Brian McCarthy and Frank Femenias for recognizing the Garden City locations. Kudos to Art Kleiner, Greg O., Brian McCarthy and Steve Lucas for identifying the water tower as the photographer's shooting location. 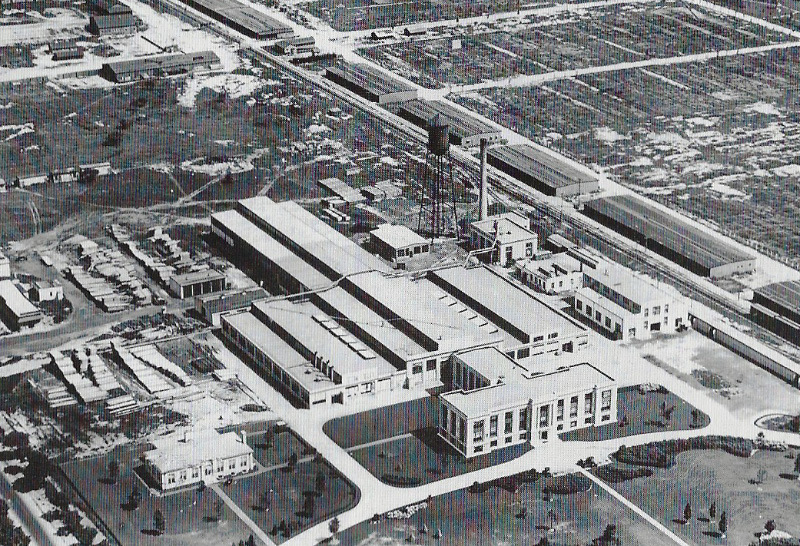 Curtiss Engineering headquarters and factories with Camp Mills buildings in the background. The Garden City Lodge (left), the embankment to the Clinton Avenue Motor Parkway Bridge and the General Manager's first office building. 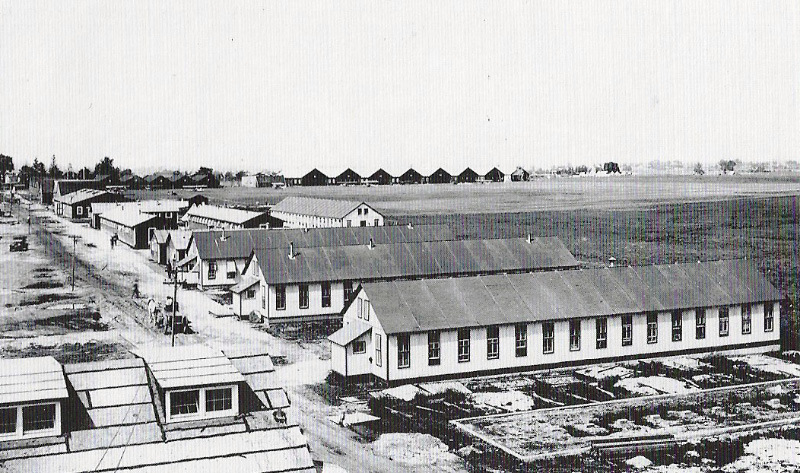 The barracks of Hazelhurst Field. 2014 Mystery Foto #53 showed the same area looking north. The water tower where the photographer shot the Mystery Foto. 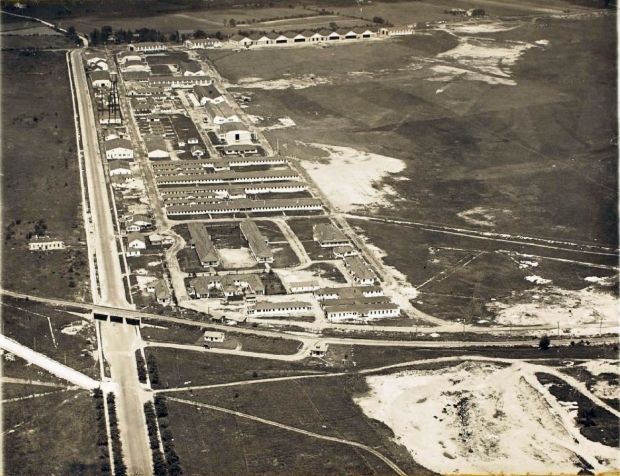 In preparing for World War I, the army took over the Hempstead Plains Airfield in 1916. This view looking north show the new barracks also seen in the Mystery Foto. The original Hempstead Plains hangars can be seen in the background. 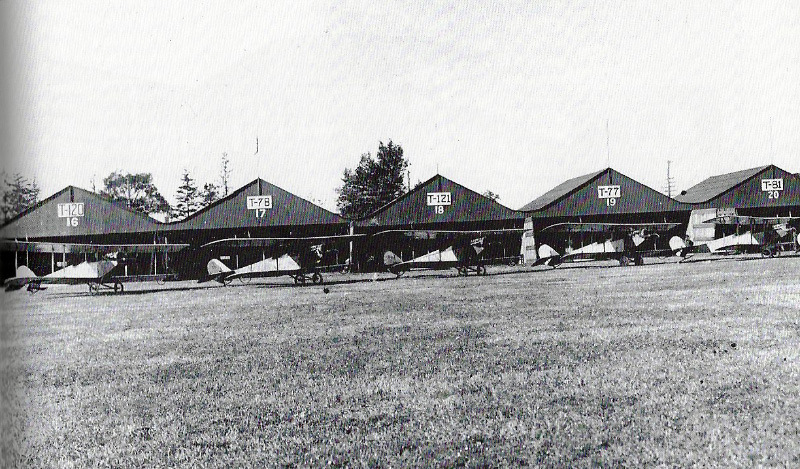 Army fliers flight training with Curtiss JN-4s at Hazelhurst Field. The complex as seen circa 1925. The Curtiss Engineering Headquarters building today. 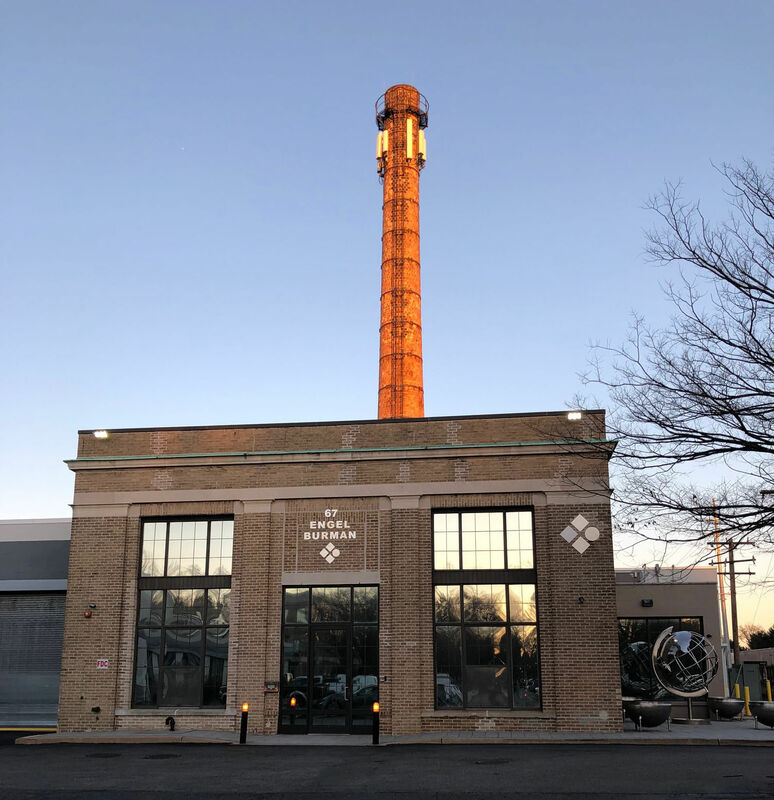 The Curtiss Power Plant. Look carefully and you can read C-U-R-T-I-S-S on the smokestack. 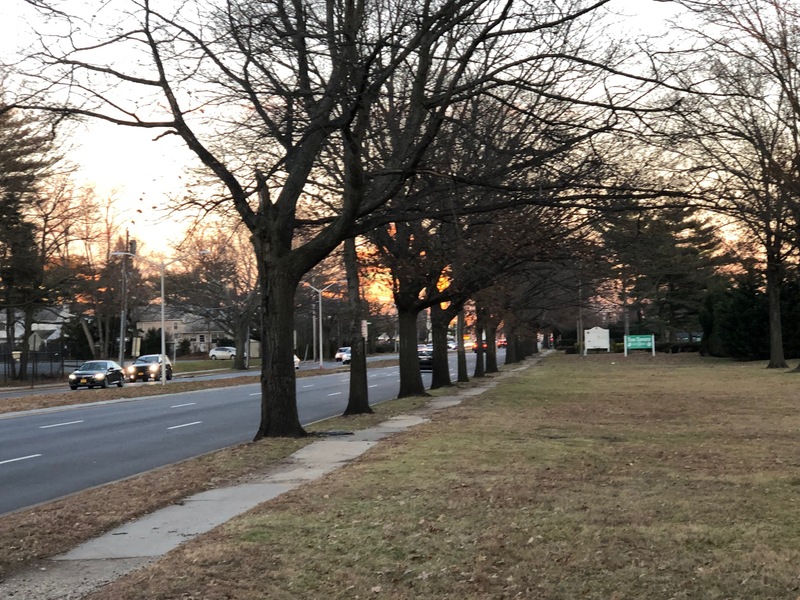 An array of trees still exist along Stewart Avenue in this section of Garden City. 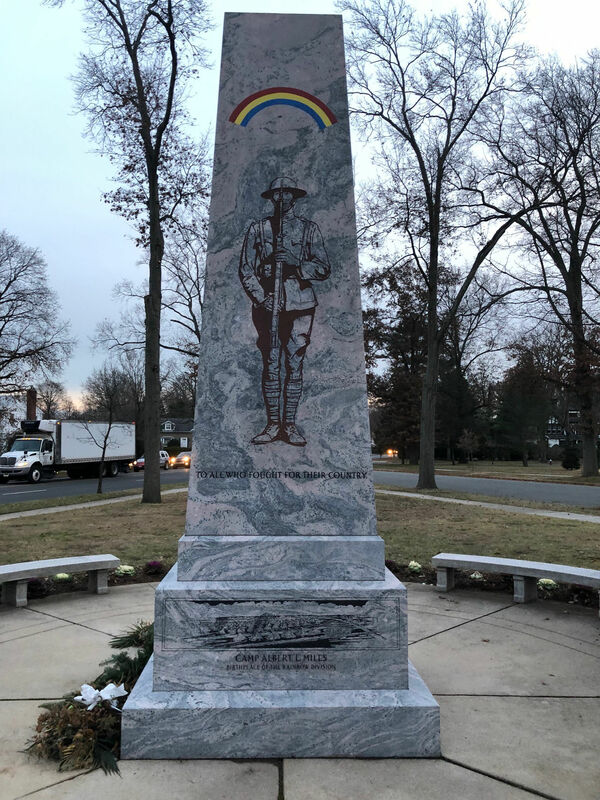 The Camp Mills monument on Clinton Road and Saint James Street in Garden City. 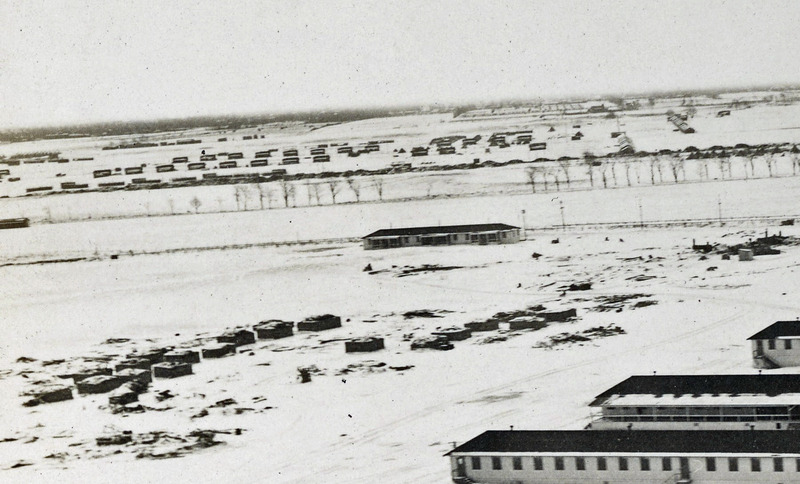 Garden City Village Historian Bill Bellmer has provided this link to 160 images of Camp Mills. 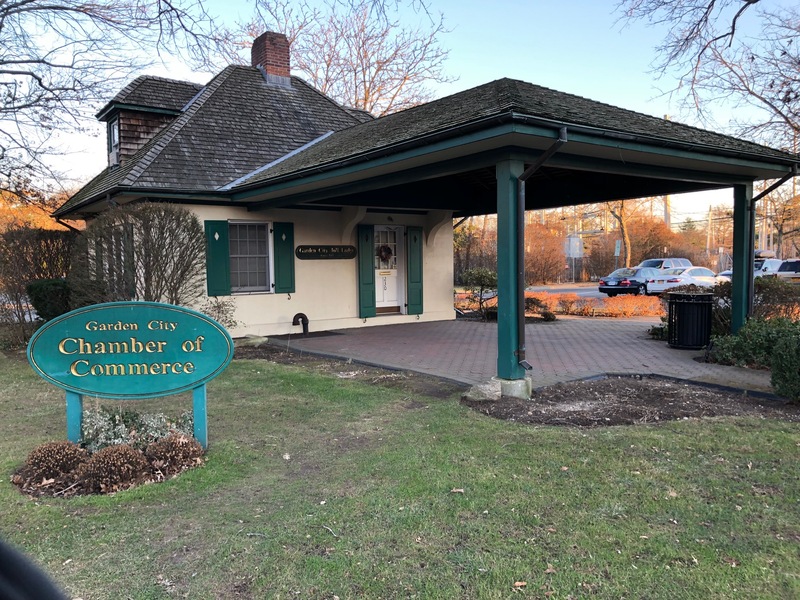 Now the headquarters for the Garden City Chamber of Commerce. Photographer standing on a water tower ? 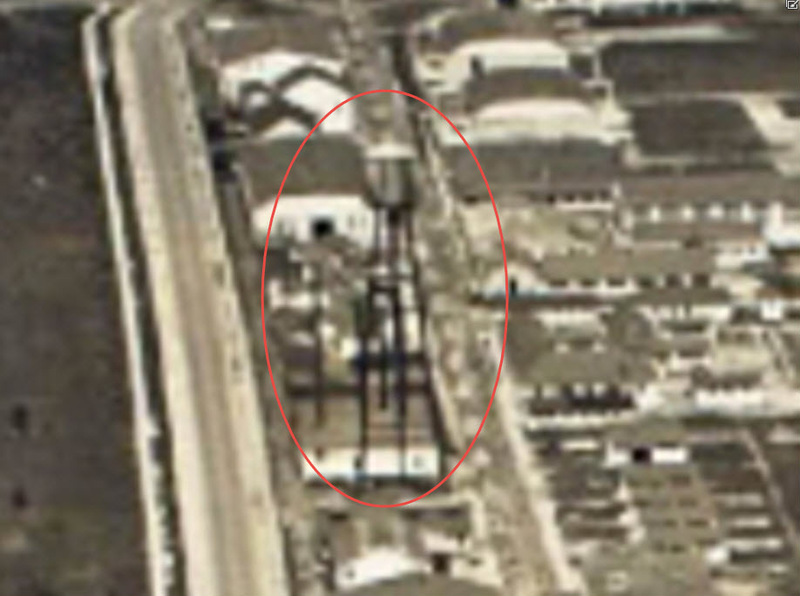 Possibly wooden structures at Camp Mills related to the Base Hospital? 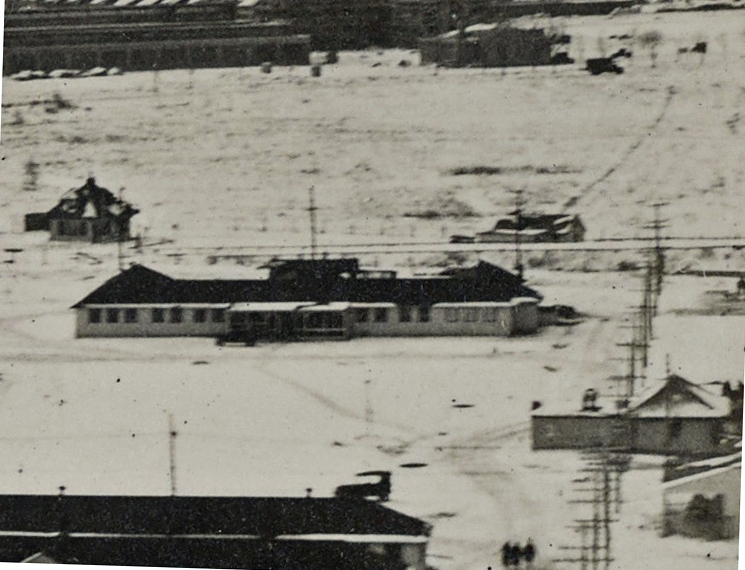 Photo may have been taken at low altitude from a biplane from Mineola Aviation Field #1 (Roosevelt Field) or Mineola Aviation Field #2 (Mitchel Field). Orientation would be slightly to the Southeast. Building with the smokestack may have been the Camp Mills Power Building. Buildings off in the distance may have been associated with the Curtis plant in Garden City. Row of trees may be the LIMP or could be Stewart Ave with the LIMP running parallel to it. Central RR branch appears to be in the foreground parallel to it. Small brick structure may be the Garden City toll/entrance to the LIMP which still stands today further south as the Chamber of Commerce in downtown GC. 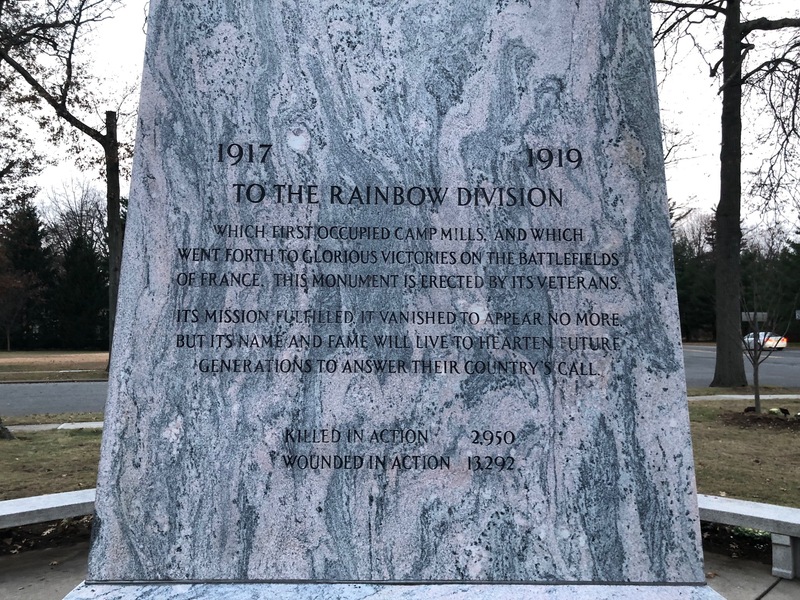 Camp Mills was decommissioned in 1919. Photo is likely from that approximate period. Is that the Durea Starch factory on glen cove Creek with the li tungsten factory tower in the background ?? Long Building in background next to smoke-stack, Look like Liberty Aircraft. The photograph is oriented to south facing over Clinton Ave in Garden City. Some historic buildings include Roosevelt Field airfield buildings, Vanderbilt Toll House GC Clinton Ave and Lodge. The Curtis manufacturering building and smoke stack. The tree lined street is Stewart Ave. EST date 1938. Hmmm As always , a great photo…I,m guessing , but I suspect ,it may be Mitchell Field, The Elevated photo suggests it may have been taken from the Control tower! A hsort story! i was born in 1941, So i have some very early recollections of Mitchell field as a kid! .. I recall on a shopping trip to Hempstead, ( in my parents car,) Spotting a parachute on our return trip to Farmingdale…( in levittown area, ) The mystery was solved the next day, when the Paper revealed a Pilot had ejected from an early jet, After he aimed it ,out over the Atlantic ocean! ( to crash?) Long Island, A great place to grow up ,in WW2 ! I recall much, regarding all the history of aircraft factories here, Republic, and Grumman… My father never quite understood my love of Flying? How could I not love airplanes…...they were always over my head as a kid! A complete guess. South/southeast from a vantage point north of the Motor Pkwy, Stewart Ave. and the Central RR tracks. Location/Orientation: Over Roosevelt field near intersection of Clinton and Old Country Road ( I grew up one block from that intersection) looking south. Tree lined road on top of photo is Stewart Avenue. Month and year- guessing a winter month, say December, some time in late 1920s early 1930s judging from building development. Usually these photos are aerial photos, but this one looks a bit low. Might have been taken from the water tower that used to be on Clinton, near the Old Country road intersection. Looking South over Hazelhurst/Roosevelt Field. -Identify the four historic sites/buildings in the Mystery Foto. -Which buildings still exist today? Most of Curtiss Engineering’s buildings, The Garden City Lodge exists as the Chamber of Commerce at a different location, and the LIMP managers office is still there. -Which Motor Parkway structure(s) are in the photo? Garden City Lodge and Manager’s office. -Identify the road surrounded by the array of trees seen across the top of the photo? -What month and year was this photo taken? Provide a rationale. Purely a guess, but I’d say winter of 1920ish judging by buildings and lone car. -Kudos question: How was the photographer able to take this photo? From the top of the Hazelhurst water tower. We are looking south over East Garden City with Clinton Road just out of the frame to the right. In the foreground is Curtiss Field with the LIMP, Garden City Lodge, and General Manager’s office behind it. 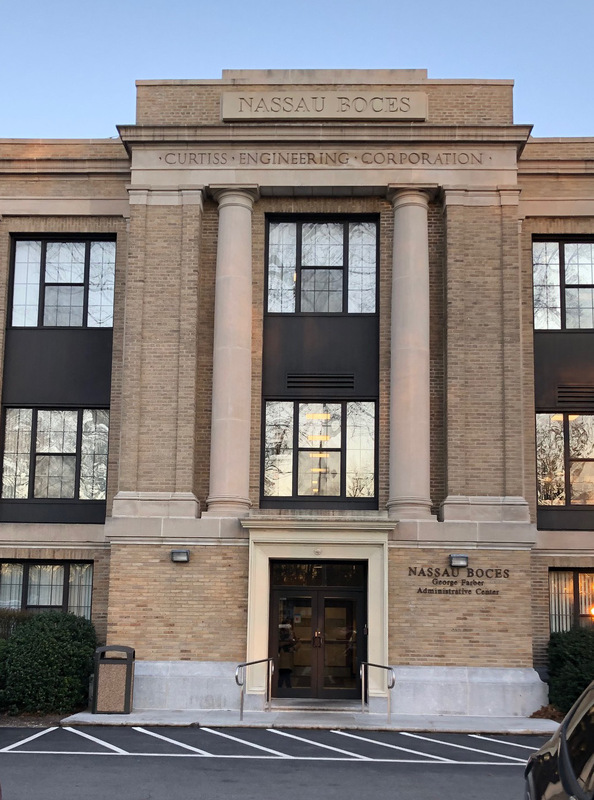 Slightly further south is the Curtiss Engineering complex of buildings. Some of the Curtiss buildings still exist today, along with the office (now a residence) and the lodge (moved to different site). The road at the top of the photo is Stewart Avenue. The date of the photo is probably November / December, 1929 since there’s snow on the ground, the larger General Manager’s office has been constructed but the porte-cochere has not yet been added to the lodge. The photographer probably climbed up the water tower at Curtiss Field for this amazing photo. 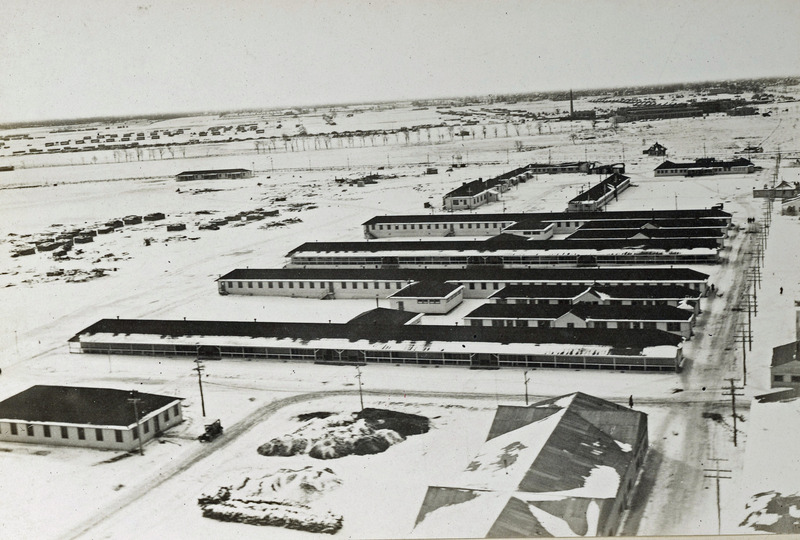 Curtiss Airfield (Roosevelt Airfield) looking south, East Garden City. This photo is about midway between Vanderbilt Court and Old Country Road. Clinton Rd just off to the right of photo. Clinton Road Motor Parkway bridge also just to the right. Motor Parkway roadway is beginning its ascent towards the bridge at ¾ top right. 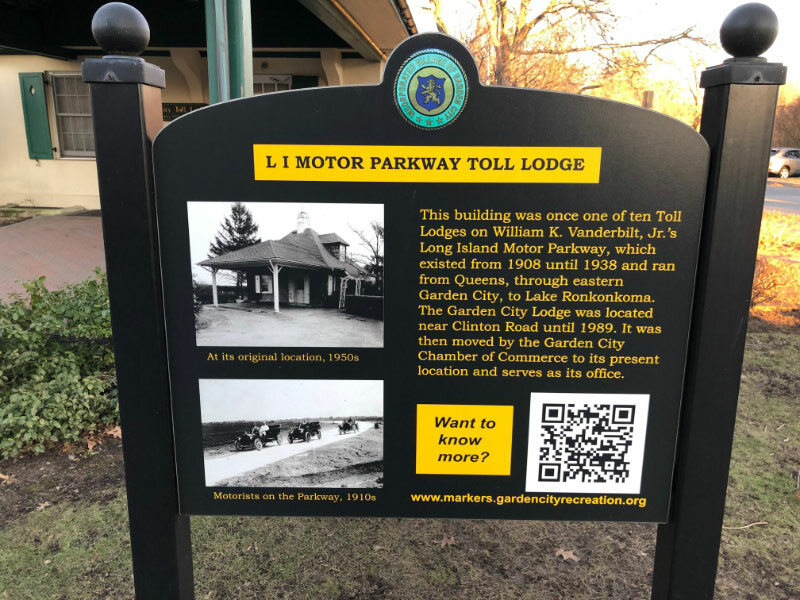 Historic sites/structures could be 1: Garden City Motor Parkway Lodge (Moved to 7th St, Garden City, now GC Chamber of Commerce building/museum), 2: Motor Parkway Supt’s house on Vanderbilt Court (Still there! ), 3: Curtiss Engineering Corp/Smokestack (Both structures still there), 4: Future Roosevelt Airfield (still there today as Roosevelt Field, New York State’s largest shopping mall with 2,400,000 sq.ft. of retail floor area), also home of Hangar 16, Colonel Lindbergh’s “Spirit of St. Louis” airplane storage for his historic 1927 transatlantic solo flight. Hangar 16 in the photo would be located behind about 1900ft. (0.36 mi. ), on the corner of Clinton Rd and Old Country Rd. 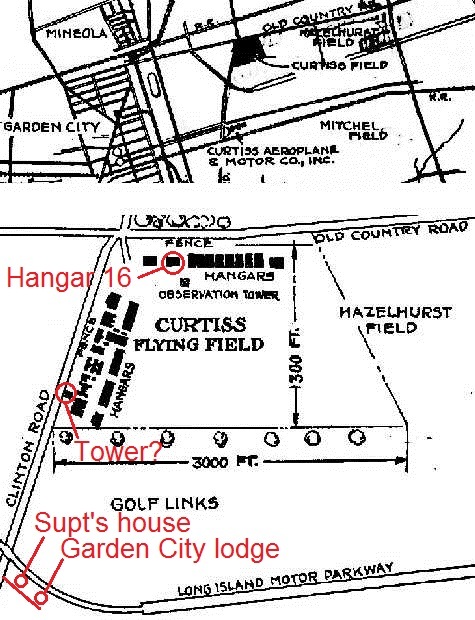 I believe all the Curtiss Airfield buildings shown have been replaced. Tree-lined Stewart Avenue in the distance (Still there!). 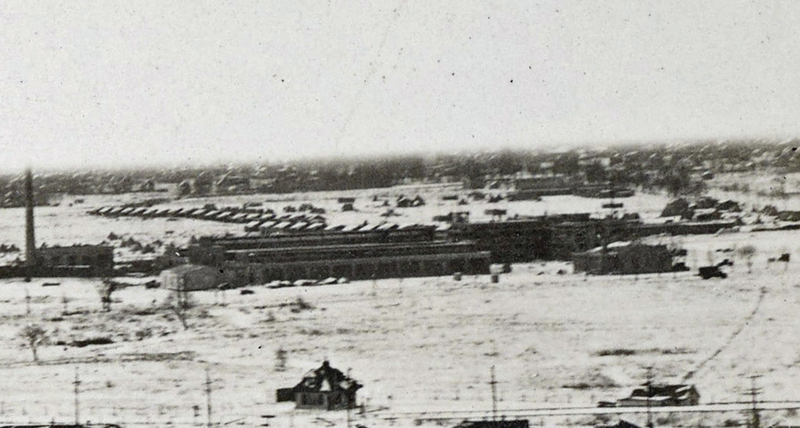 Photo date is approx Nov-Mar, about 1927, during this configuration of buildings at Curtiss. Photographer could be on top of an observation tower. Attaching a 1927 Curtiss map with possible tower. Looking south across Curtiss Field . The Garden City Lodge visible in center. Looks to be snow on rooftops; estimated date February 1931. Photo may have been taken from observation tower south of Old Country Road. The old WWI hospital, near Camp Mills in Garden City, south of Old Country Rd. Perhaps the picture was taken from a water tower? *Location/Orientation: East Garden City viewing basically south. *Historic Sites/Structures: Curtiss Engineering Corp, Camp Mills, Garden City Toll Lodge, and Curtiss Field. *Existing Structures of Significance: Curtiss Corp structures, Garden City Toll Lodge. *LIMP structures: Garden City Toll Lodge ( no porte cochere ). 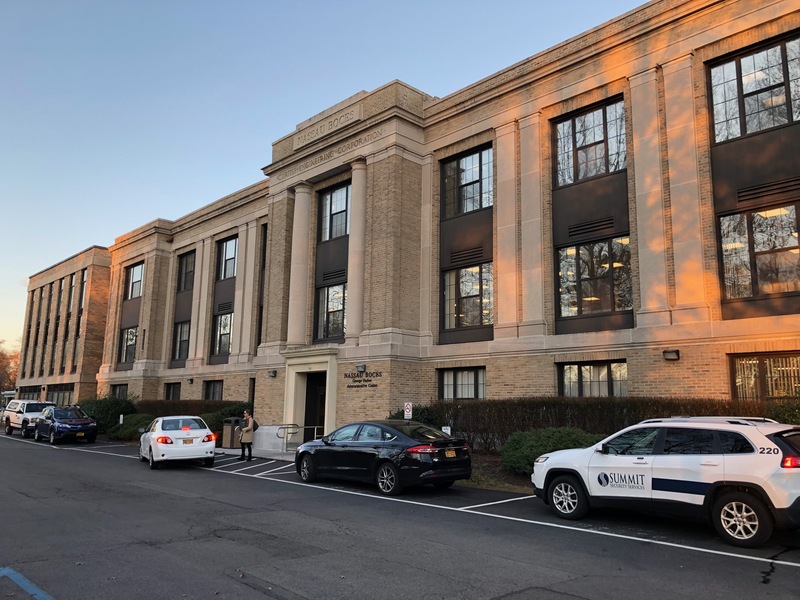 Motor Parkway Office ( General Manager’s Office is yet to be ). *Road w/array of trees: Stewart Ave.
*Location Of Photographer: Atop Water Tower within Curtiss Field. My guess is Republic Aviation, route 110, from a small plane? Best I can do. Happy holidays Howard! Fantastic responses here on the Motor Parkway! Amazing to find many still attached to this roadway. Please share your visions on this historic highway! Was the date of this image considered part of the mystery? Or is the image captioned with a date? Hi Sam, the factory by Conklin may still have existed in 1994. Sending Howard an aerial with buildings intact. Don’t know what was there. Also, there is today a Liberty Industrial Finishing plant on Motor Ave.
Sam, the factory you refer to is the old Fairchild Republic plant. Yes, there is still one building remaining. I was there a few weeks ago. It was badly damaged in a fire a few years ago.